Our friend Katelyn of justforkeeps who is one of our Etsy Wedding Artists, is sharing these awesome (and free!) 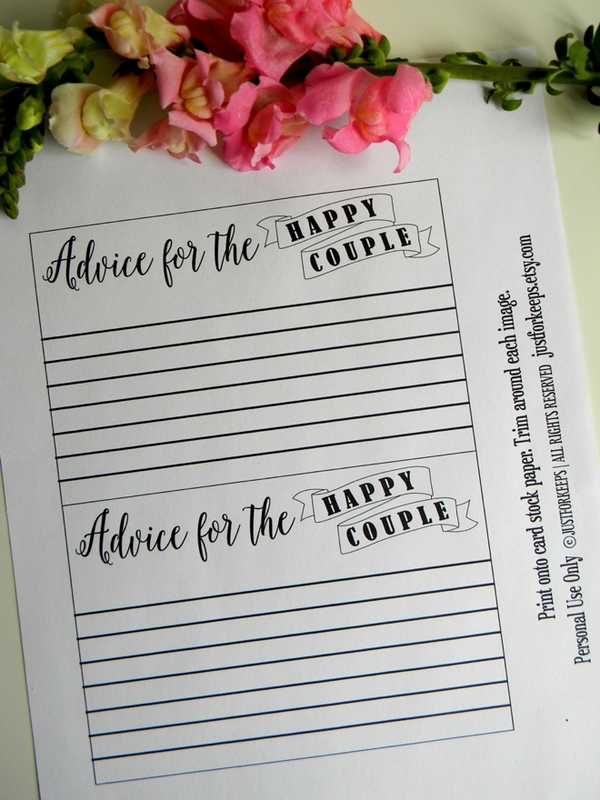 wedding advice card printables with us today! 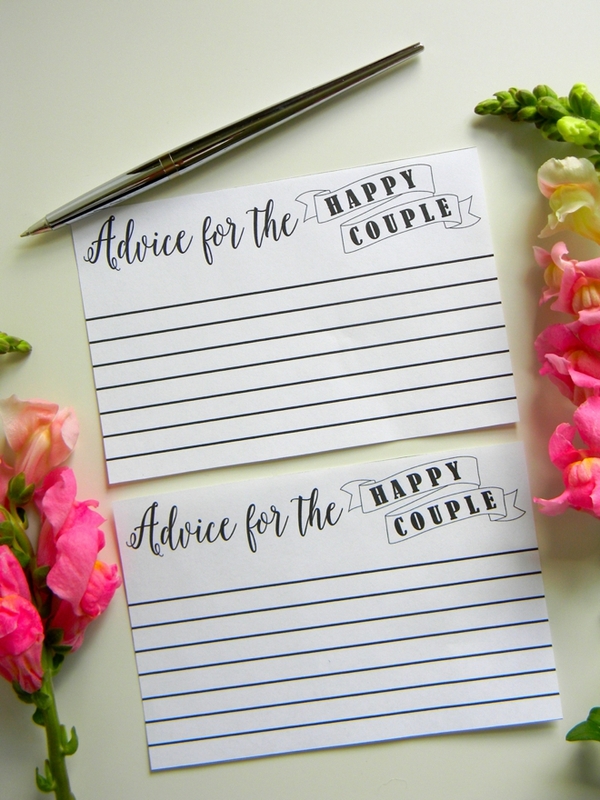 We are seeing the “wedding advice” detail trending at all types of wedding events, from the engagement parties, to bridal showers and weddings alike. If you partake in this fun idea, hopefully you will receive some really good advice from your friends and family. I think it would be awesome to read the stack of cards every year on your wedding anniversary! 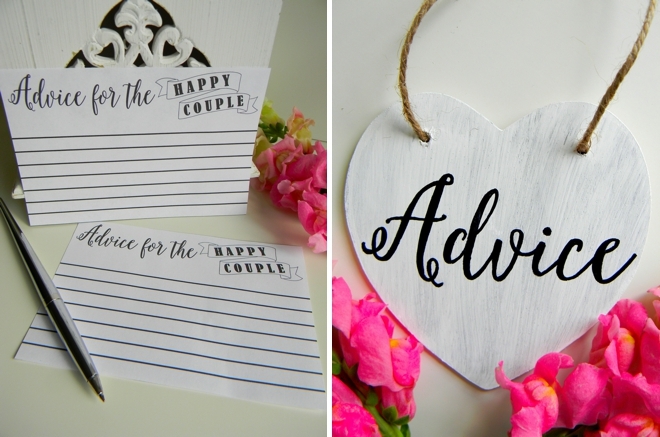 This super cut heart “Advice” sign is for sale in justforkeeps Etsy shop for only $10.50! 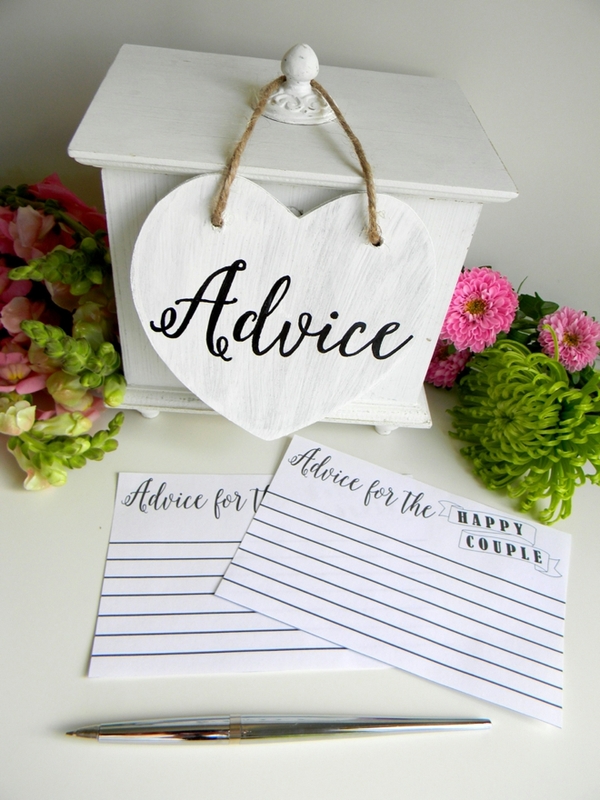 How-to: First, download the advice card file below. Print onto 8.5″ x 11″ cardstock of your choice, medium to light shades work best. 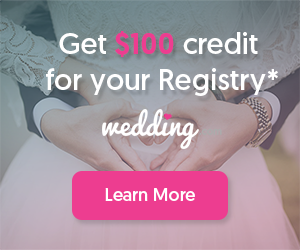 Cut around each card outline and display at your wedding event! 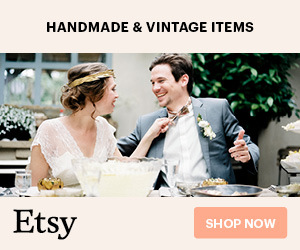 Our Etsy Wedding Artists are talented artists selling their amazing goods on Etsy. 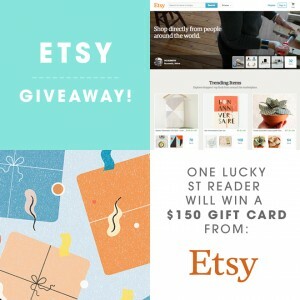 They are actually some of the best of the best that Etsy has to offer, so make sure to check them out! Although we call them “wedding artists”, most of them sell many different types of items. 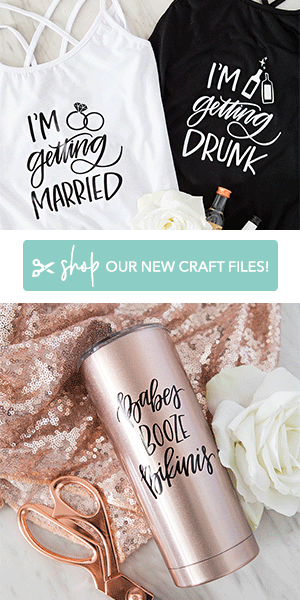 This group is incredibly creative, they are easy to work with, they love custom orders and they can’t wait to help you create something unique for your special event. We love promoting small businesses, especially these artists because as you know we love and respect the handmade. 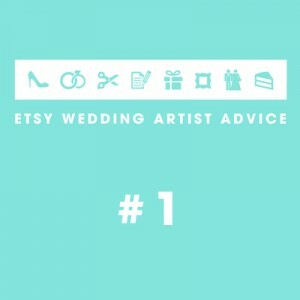 Are you an Etsy artisan (that sells wedding goods) who’d like to have a listing in our special EWA Gallery? If so, you can apply here. Thanks for being interested! 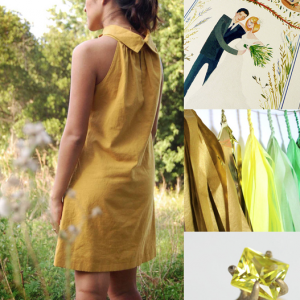 The design file featured here is copyright of justforkeeps. Something Turquoise does not own the above images or designs. If you want to share these images/design you must obtain permission from the artist. These are intended for personal use only and cannot be sold or used to make a profit of any kind.